Benefits : Prevents premature graying, falling of hair, sleeplessness and headaches. Combats dandruff, brings our luxuriant hair growth, and improves melanin formation. Ingredients : Sesame Oil, dried herbs of bhringraj, brahmi, amla, harad, bahera, nagarmotha, kachur, lodhra, manjishtha, bavachi, henna, mulethi, jatamassi and hibiscus flowers. Benefits : Makes hair longer, thicker and lustrous, prevents split ends and hair loss, promotes scalp health and hair growth, restores natural moisture. Ingredients : Almond Oil, Olive Oil, Coconut Oil, Essential Oils of Rosemary, Lavender, Thyme and Cedarwood. 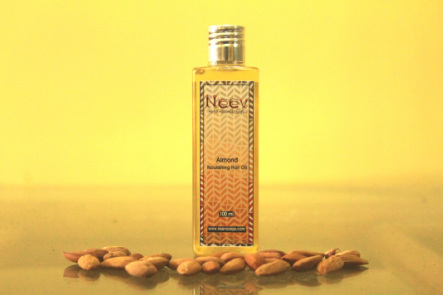 Benefits : Useful to relieve dandruff, scalp psorasis, itching and eczema. Based on Ancient Ayurvedic Texts. 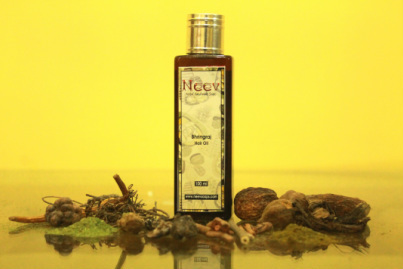 Ingredients : Organic Coconut oil, Dried Amla Powder, Pure Sandalwood Oil. Benefits : Useful for hair growth and conditioning, for preventing split ends, giving shine to the hair. Also useful in treating headache and dizziness. Benefits: Custard Apple Leaves and seeds have medicinal properties and have been traditionally used to treat head lice. 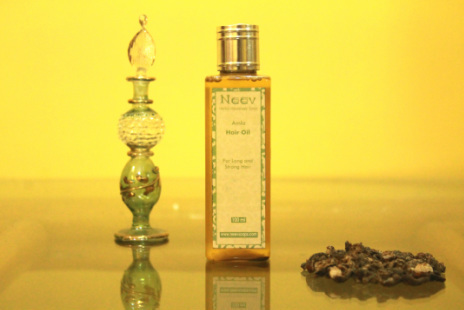 Neem is very effective remedy for head lice. Teatree oil is also antimicrobial and removes lice.